Exercise is broadly divided into two categories–strength training (weight lifting being its most common form) and cardio. The purpose of exercise might mean physical activity to you, but there is a big difference between the two. 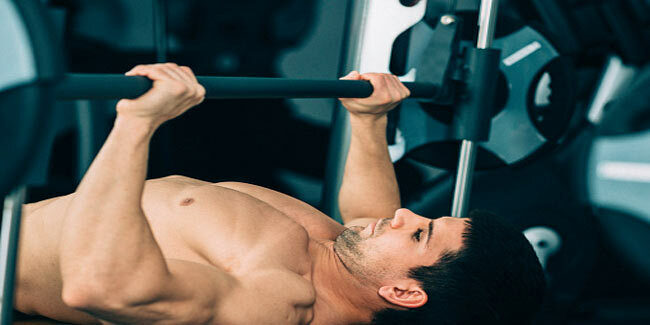 Both cardio and weight lifting have their own merits and demerits. A weightlifting plan can help you gain strength and increase the size of muscles by tapping into fat stores. Weightlifting makes your body stronger, enabling you to do everyday chores with ease. It is excellent for promoting bone health. Weightlifting is not just an exercise, but also a way you can shrug off stress at the end of the day. Weightlifting requires precision. The exercise form is of utmost importance, so you have to have an expert to guide you. Since you are lifting heavy, your risk of injury increases. The rate of burning calories is not as good as it is in intense aerobic activities. You need fitness equipment. While you are out of town, finding a place to work out can be a hassle. There are endless options for you– run, swim, cycle, dance, play sports, hike and more. You can choose as per your liking. You can exercise and enjoy at the same time. You can burn your calories with high-intensity cardio workout. It helps the heart, body’s organs and ups overall fitness levels. You can get in shape with aerobic activities, but can’t get bigger or build muscles. It might seem easy, but you need to go easy. Going hard can cause injuries or problems in the long run. Because the metabolic rate is lower while doing this exercise, the session needs to be lengthy. Cardio can sometimes, be long-standing and may drain your willpower. Exercise is broadly divided into two categories–strength training (weightlifting being its most common form) and cardio. The purpose of exercise might mean physical activity to you, but there is a big difference between the two. Both cardio and weightlifting have their own merits and demerits. · A weightlifting plan can help you gain strength and increase the size of muscles by tapping into fat stores. · Weightlifting makes your body stronger, enabling you to do everyday chores with ease. · It is excellent for promoting bone health. · Weightlifting is not just fun, but also a way you can shrug off stress at the end of the day. · Weightlifting requires precision. The exercise form is of utmost importance, so you have to have an expert to guide you. · Since you are lifting heavy, your risk of injury increases. · The rate of burning calories is not as good as it is in intense aerobic activities. · You need fitness equipments. While you are out of town, finding a place to work out can be a hassle. · There are endless options before you– run, swim, cycle, dance, play sports, hike and more. You can choose as per your liking. You can exercise and enjoy at the same time. · You can burn your calories with high intensity cardio workout. · It helps the heart, body’s organs and ups overall fitness levels. · You can get in shape with aerobic activities, but can’t get bigger or build muscles. · It might seem easy, but you need to go easy. Going hard can cause injuries or problems in the long run. · Because the metabolic rate is lower while doing this exercise, the session needs to be lengthy. Cardio can sometimes, be long-standing and may drain your willpower. Do you know the difference between cardio and weightlifting? Let’s find out if cardio is better than strength training or vice-versa.